is gaining increasing attention among biologists in New England. ​ This conference will address the ecology and current status of many of these species, particularly in New England; present theories regarding population decline; summarize recent research strategies and findings; and explore citizen science opportunities. Kimberly Spiller is a graduate student at the University of Massachusetts, Amherst, finishing her M.S. degree in Environmental Conservation. Her thesis is focused on eastern whip-poor-will habitat associations in upstate New York. She recently completed a DFP fellowship at the US Fish & Wildlife Service Northeast Regional Office, working with the Migratory Birds division to study aerial insectivore declines. wintering grounds, and talk about my work on neotropical migrants in oil palm plantations and forest fragments in southern Mexico. Dr. Knowlton is a new assistant professor of avian ecology and conservation biology at Wheaton College, MA. Her research is focused on how birds and other animals respond to human-induced changes in their environment, such as fragmentation and alteration of habitat. Dr. Knowlton has been studying bird communities in Latin America for more than 10 years, and her current field sites include southern Mexico and the Ecuadorian Andes. The Eastern Whip-poor-will was once a familiar bird across much of New England, but is rare today except in a few scattered locations. To learn more about this poorly-known species, Pam Hunt initiated a monitoring program in New Hampshire in 2003 that has since spread to most of North America. She followed this up with detailed research at two sites from 2008 to 2012 with the goal of gaining a better understanding of the species’ habitat relationships. In this program she’ll provide an overview of whip-poor-will ecology, discuss conservation issues facing the species, and wrap up with some of the results of her research program. Pam has been interested in birds since the tender age of 12, when an uncle took her to Brigantine National Wildlife Refuge in NJ. She went on to earn a B.S. in biology from Cornell University, M.A. in zoology from the University of Montana, and a Ph.D. from Dartmouth College in 1995. Pam came to NH Audubon in 2000 after five years as adjunct faculty at Colby-Sawyer College in New London. In her current position as Avian Conservation Biologist, she works closely with NH Fish and Game to coordinate and prioritize bird research and monitoring in the state, and also authored NH's "State of the Birds" report. Pam also coordinated the “NH Dragonfly Survey,” a five-year project that mapped distributions of these insects throughout the state, and remains active in the dragonfly field. Common Nighthawks (Chordeiles minor) are declining throughout their range and especially in the East. This talk will summarize the nighthawk research NH Audubon has been conducting since 2007. The project utilizes citizen science volunteers to locate and monitor nighthawk activity, determine population size, find nests, document behavior at nest sites, and monitor nesting success. It will include the results of experiments with gravel “nest patches” on flat rooftops as potential nighthawk nesting substrate. NH has only about 20 known nighthawk nest sites and the population continues to decline. Rebecca will discuss some of the factors they have observed that appear to affect nest success. The project created a monitoring protocol and behavior profile of birds at active nest sites which have been used to advise state protocol for wind turbine sites with nesting nighthawks. 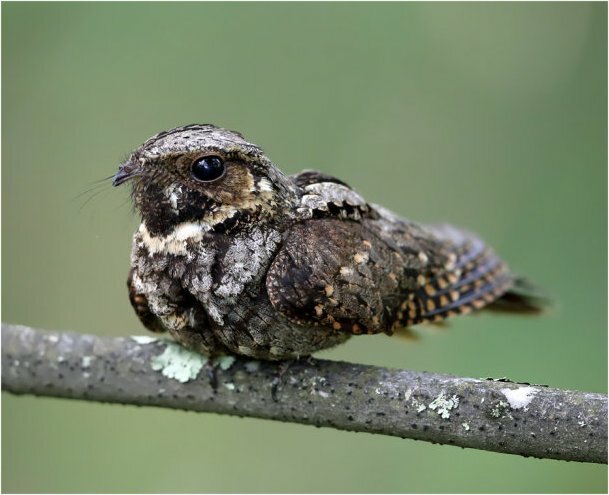 NH Audubon’s Project Nighthawk created a monitoring protocol for conducting nighthawk surveys to determine the population in a given area. The protocol also involves recording behavior that can be used to identify and potentially confirm nest sites. This workshop will present the details of the protocol and behavior profile. Rebecca is a biologist with NH Audubon where she has worked since 1988. She has been the leader of Project Nighthawk since its inception in 2007, conducting nest patch experiments and monitoring nighthawk nesting activity in NH. Her current responsibilities also include overseeing the New Hampshire Bird Records publication and associated eBird data and coordinating the annual Backyard Winter Bird Survey. Of all the birds that catch bugs on the wing for a living, the chimney swift may be simultaneously the most familiar, and the most mysterious. They nest in our buildings, but fly high and fast, perch out of sight, never come to the ground, and their populations are dwindling away for reasons that no one has been able to figure out. This presentation will cover what we know about chimney swifts, what we think we know (but don't) and efforts on the part of UConn and CT DEEP researchers to understand what's happening to those birds in your chimney. Margaret is an Associate Professor in the Department of Ecology and Evolutionary Biology at the University of Connecticut, and the CT State Ornithologist. She's been chasing chimney swifts since 2012, and hopes you won't call the cops if you notice her staring at your chimney through binoculars. Come join Mary Keleher as she takes you inside the lives of Purple Martins. From the moment the first Purple Martin arrives in April through their departure in late August, Mary will discuss housing, nest building, egg laying, hatching, monitoring, banding and supplemental feeding. With stunning photos, videos and passionate commentary, Mary will share her experiences and what she has learned through the years about these amazing aerial insectivores. Mary is a self-taught naturalist. She grew up exploring the natural world in the woods behind her home in Rockland, MA. Her fascination with birds began when she moved to San Diego where she began to see birds that were much different from the birds she knew back home. Eventually settling in Mashpee, she became involved with the Cape Cod Bird Club and was President of the club from 2006-2009. She was a Regional Coordinator for Massachusetts Audubon Society’s Breeding Bird Atlas II (2007-2011). Mary has been working with Purple Martins for the past 10 years. She is a banding subpermittee and has been banding Purple Martins since 2012. ABSTRACT: Eastern Whip-poor-will has been experiencing a 4.4% annual decline in New England and 6.6% in Massachusetts since 1966 yet basic natural history and ecological information is still lacking for this species. In particular, a better understanding of migratory timing, routes, behavior, and wintering locations would allow us to pinpoint the most imminent threats and opportunities across the species’ range and develop a full life cycle approach to the conservation of this declining species. This presentation will describe published research on whip-poor-will migratory connectivity from a population breeding in Canada and present a new research project in Massachusetts that seeks to understand migratory pathways and connectivity between the wintering and breeding areas of eastern Whip-poor-will populations. Marja received her BS in Biology from Bucknell University and MS and PhD in Natural Resources from The Ohio State University where she focused on the consequences of urbanization and forest management on avian communities. Her favorite part, though, was migrating with Cerulean Warblers down to shade-grown coffee plantations in Venezuela. Marja conducts research on declining bird species and teaches and advises senior research projects in the Biology Department at Worcester Polytechnic Institute. ​Andrew received a BS degree from the University of Wisconsin and MS and PhD degrees from the Ohio State University where he studied the effects of forest management on migratory songbirds. Following graduate school, he was an avian ecologist at the Carnegie Museum of Natural History in Pennsylvania, where he managed the Powdermill Avian Research Center. Andrew is currently the State Ornithologist for the Massachusetts Division of Fisheries and Wildlife where his focus is on bird conservation throughout the state. Both Cliff and Barn Swallows have been declining in northeastern North America for many decades. In the northeast both species commonly breed in agricultural settings; they use barns/farm buildings for nesting, forage in open fields, and use mud for nest-building. Reasons for population declines include habitat loss (the decline of agriculture), competition from House Sparrows, larger-scale intensive agricultural practices, and, possibly climate change, pesticides and other factors. 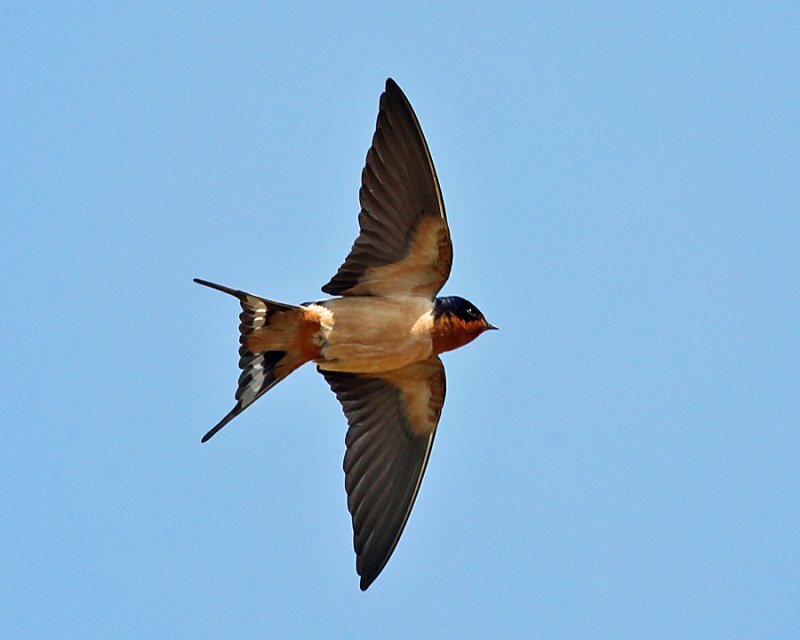 In spite of larger scale population declines, breeding success can increase when habitat is improved at local Cliff and Barn swallow nesting sites, and both species can be attracted to new sites. There are many simple actions you can take to make your property more swallow-friendly! Join Mara for a workshop on the specific activities you can take to attract Cliff and/or Barn Swallows to a site, and/or how to boost breeding success at an existing site. Topics covered include: the specific types of habitat that Cliff and Barn Swallows prefer, installing artificial nests, how to create a swallow mud puddle, control of House Sparrows, and more! Artificial Cliff and Barn Swallows nests will be available to view and order. Mara has been working primarily on Cliff and Barn Swallow conservation projects for the past 25 years. The focus of her work has been on developing relatively simple management techniques to attract and enhance breeding success at Cliff and Barn Swallow nesting sites and to attract these species to previously-unused sites. .Mara holds an M.S. in Wildlife and Fisheries Conservation from UMass/Amherst, where she researched characteristics of river banks used by Bank Swallows. How can we watch nesting birds without disturbing them? Live streaming cameras or camera traps are two options. Join us to discover the basics and dos and don’ts for setting up and managing live streaming cameras to observe nesting birds, as well as learn how to set up camera traps/ trail cameras. Hollie has worked at the world-renowned Cornell Lab of Ornithology as the Bird Cams project Communications Specialist and is now studying camera traps as a tool to increase public participation in biodiversity monitoring in Massachusetts. Hollie also volunteers with the UMass Du Bois Library Peregrine Falcon Cam.